Recently I heard a funny story told by my friend in Plano, TX, which makes him reconsider if he really wants to make a proposal to his CPA girlfriend. My wife is a career woman, a CPA. When she took the food out of the refrigerator, she always uses LIFO (Last in, First out). Every piece of paper in our home should be kept on file. And she told me that according to some accounting regime, she must retain those papers for at least ten years before destroyed. 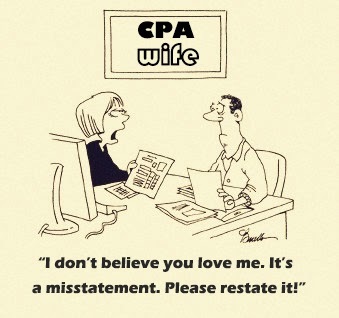 One day, I had a quarrel with my CPA wife and it lasts one hour. Later I learned that she put the hours counted into her customer timetable. Once she said she loves me, and I told her I love her too. However, she never believed me. She said my point is the misrepresentation. Besides, she asked me for restatement. Oh, my god! Not long ago, we sent out a lot of wedding cards to celebrate my brother’s wedding. After a period of time, I started receiving some reply, making me confused. And later my wife explained to me that she asked all those who received the card to send her the confirmation back, because my wife believes external evidence is more reliable. When my wife cooks, sometimes she does not go by recipe. For example, the recipe says add half-spoon vinegar, one teaspoon salt or one cup of water, but she just ignores them. Because she thinks they are not material when taken in context of whole meal being prepared. She’s crazy! Surprisingly everybody calls her a CPA, instead. Therefore, I checked the dictionary and there is no statement saying that accountant is a synonym for crazy. I bet this dictionary is outdated. When we got married, she gave me an Engagement Letter and I even said how sweet at that time. But now, she gives it to every year, saying her standards state that she must send me a new one if there is any indication that I have misunderstood the objective and scope of engagement. In addition, she says I can’t get rid of her like that. Because I have let her know before I appoint someone else. For a minute, I thought that we had lost in our going concern status. One of my female friends, also live in Plano who has a CPA husband told me that her scenario is even worse. Apparently he capitalized the wedding expenses as preliminary expenses and is writing it off every year. What’s worse, he is still under consideration for valuation of intangible assets, which is the time he spent dating with his wife before got married. So if you decide to marry a CPA, please discount it by appropriate rate to arrive at the present value of the risk of doing so! However, keep that in mind, CPAs are all smart, so marrying an accountant is always a high-yield investment program. Certified Public Accountants (CPAs) act as advisers to individuals, businesses, financial institutions, nonprofit organizations and government agencies on a wide range of financial matters. Today, many individuals and businesses in Plano, TX, turn to CPAs for help with tax preparation, tax planning, personal financial planning, retirement planning, auditing services and advice on developing effective accounting systems. 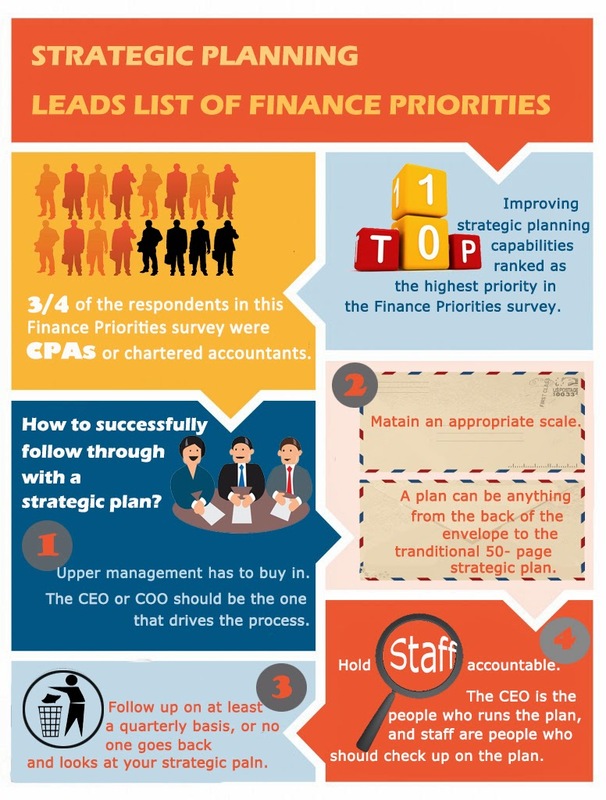 CPAs are no longer just number crunchers and tax preparers, they are business and financial strategists who help chart the paths of businesses and individuals. There has been a rapid expansion of economy in Plano. Most of small and medium size businesses are tapping CPAs to not only manage finances and taxes, but also to determine profitable new product lines, help diversify investments, and provide a variety of other consulting and business services. Individuals lived in this area turn to their CPAs in Plano for tax and financial planning services, investment advice, estate planning, and more. As technological advances, globalization, new laws and regulations, and marketplace competition continue to complicate financial and business decisions, accountants in Plano will also be called upon to analyze information, determine effective financial and business strategies, and help individuals and businesses achieve profitability. 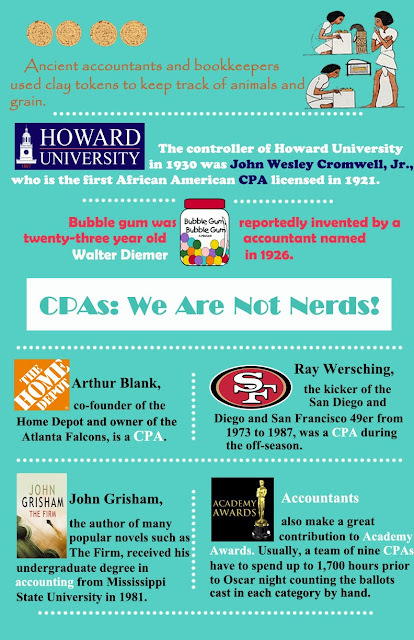 So usually what do CPAs in Plano Charges? CPAs normally base their fees on the time required to perform the services you request. Fees depend on the type of services you require, the prevailing costs in the community, the CPA's level of expertise and the complexity of your work. 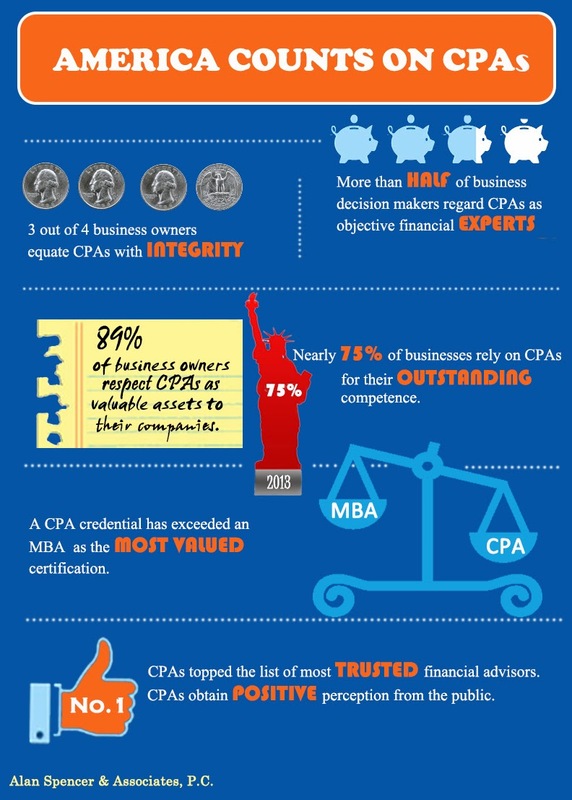 Talk frankly with your CPA about fees. Compare the cost of having work performed by a staff accountant under CPA supervision, a higher-level employee such as a supervisor and the CPA to determine who can best meet your budget needs.